Bath isn’t short of Afternoon Tea experiences – but few can match the giddy heights of afternoon delights served at the Gainsborough Bath Spa Hotel, where award-winning Head Chef Dan Moon has created four themed afternoon tea experiences to run throughout 2018, all served in the hotel’s elegant Canvas Room. In addition to classic pinkie-tickling treats such as freshly baked scones and finger sandwiches, guests can expect to encounter a little drama at their table, with sumptuous sandwiches and superb sweet treats all vying for your attention. The next tantalising tea in Daniel’s exclusive series is…. ta da! The Georgian-themed Afternoon Tea, served from 3pm-5.30pm from Friday 14-Sunday 23 September to celebrate Bath’s annual Jane Austen Festival. Dan has designed an array of delicious delicacies that would most certainly pique the interest of Ms Austen and her chums including a selection of Georgian-inspired cakes, traditional lavender biscuits and a shot of spiced hot chocolate made to an historical recipe. Whether or not Mr Darcy would approve of the optional Champagne accompaniment is yet to be confirmed, but one thing’s for sure: this is the perfect way to refresh yourself after a hard day’s promenading. 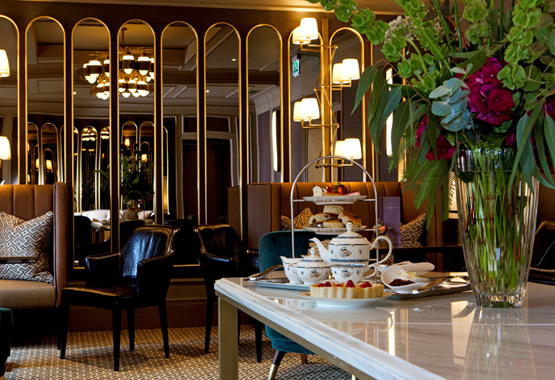 To book your Georgian-themed Afternoon Tea at the Gainsborough Bath Spa Hotel, call 0800 529 8000.